James Young, who lost his arm and leg in an accident, has a prosthetic arm and bionic hand inspired by one of his favourite video games. Entities all around the world, from cities to whole countries, have issued moratoria on fracking pending conclusive evidence of its risks. 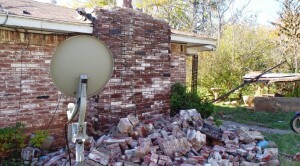 Well, some of that evidence is in: fracking causes earthquakes. The widower of a German student killed by a lorry in London sobs as its driver is cleared of causing her death by careless driving. Aldershot Town extend Millwall striker Alfie Pavey’s loan spell until the end of the season.